Four of our Ambassadors reading their Madison Fashion Magazines! 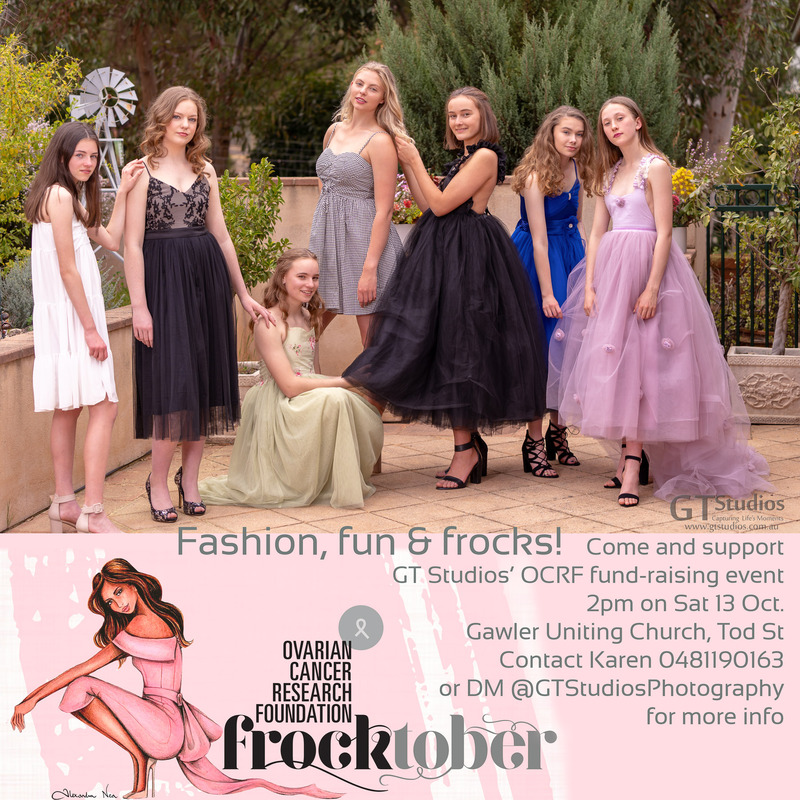 This month has seen the launch of new products, the announcement of our Ambassadors and also a little more talk about the Click, and an amazing ambassadors get together at Just Desserts in Gawler. 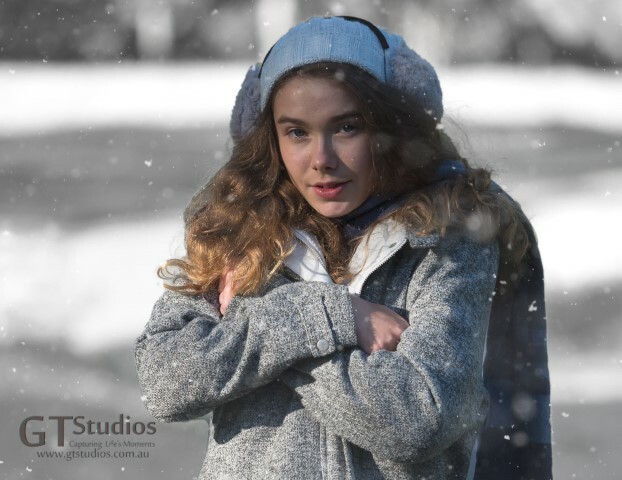 A Winter themed Photo Experience, a Model for a Day Photo Experience, A Model Portfolio Update session, lots of Reveal and Select sessions just to name a few of the things that have been keeping us busy! 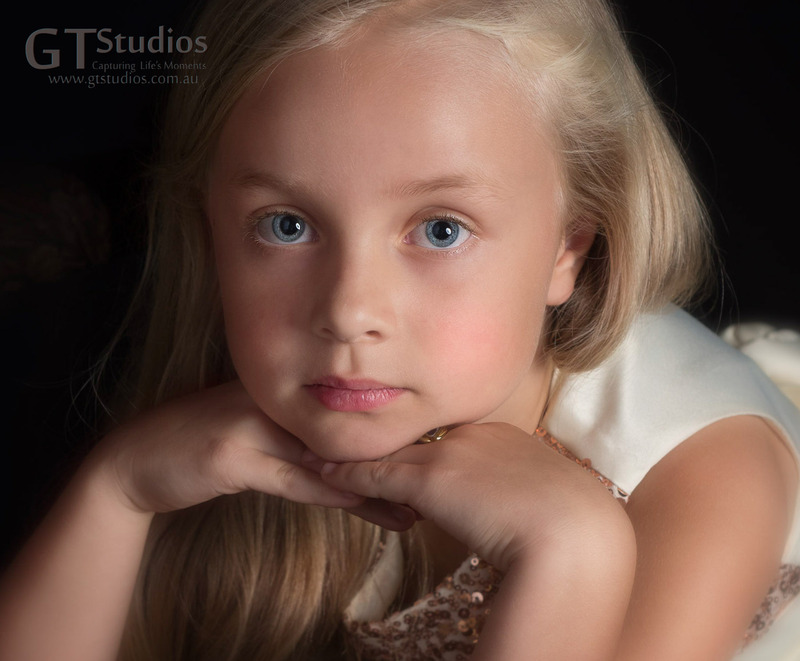 Mackenzie – Our Face of July! I had planned to chat about a lot of things this month but have looked at the date and realised if I don’t publish this today it won’t be the June Newsletter!! Plenty to talk about next month! We have had an amazing month – I hope you have also! 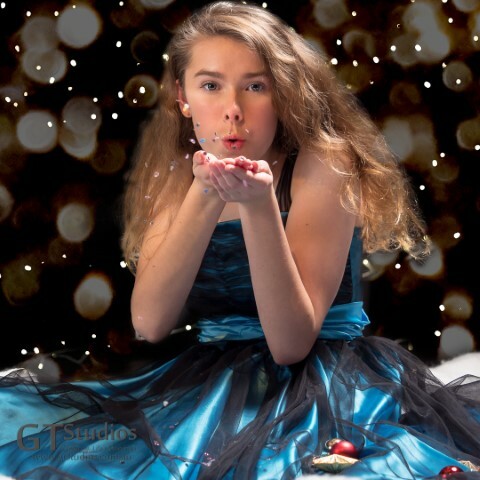 For our Face of June we planned a Birthday Photo Experience and we had lots of applications. We have already showcased images on Instagram but here are just a few in case you missed them! A no frills party investment will get you the basics including some party food balloons and bubbles with an option to purchase framed images after the event through to the top of the range where you can enjoy a cake smash and a party goodies bag for the birthday guests and birthday girl with a Party Photo Package specifically designed for you and your guests. 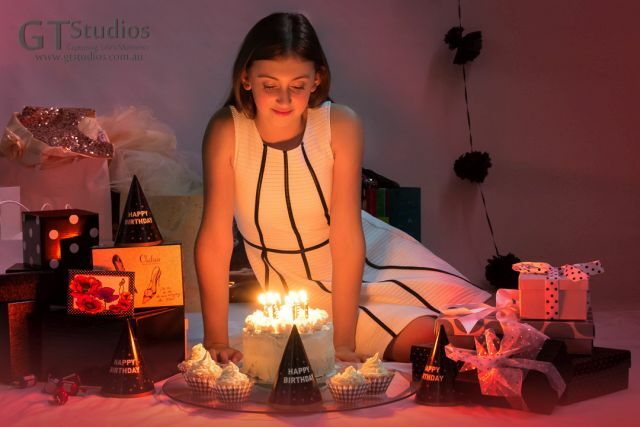 We also have a no expenses spared package which includes a gorgeous Matte Art Birthday Album. The album will be hand made in our Pro printers lab here in Adelaide – where they will pay attention to every detail. It is a luxurious gift to give which will keep the birthday girls memories alive for a life time! This one really takes the cake! Why should one year olds have all the fun! Oh my goodness – We have done it again!!!!! 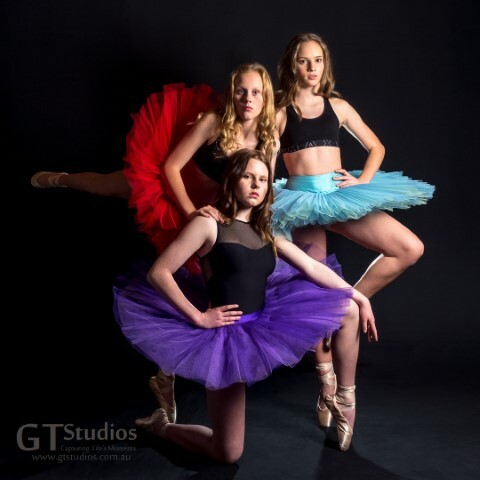 This time we have 5 of our girls – Hannah, Jemma, Jordan, Maddy and Miki featured in Issue 10 of Madison Fashion Magazine and 1, Courtney, featured in Issue 11. 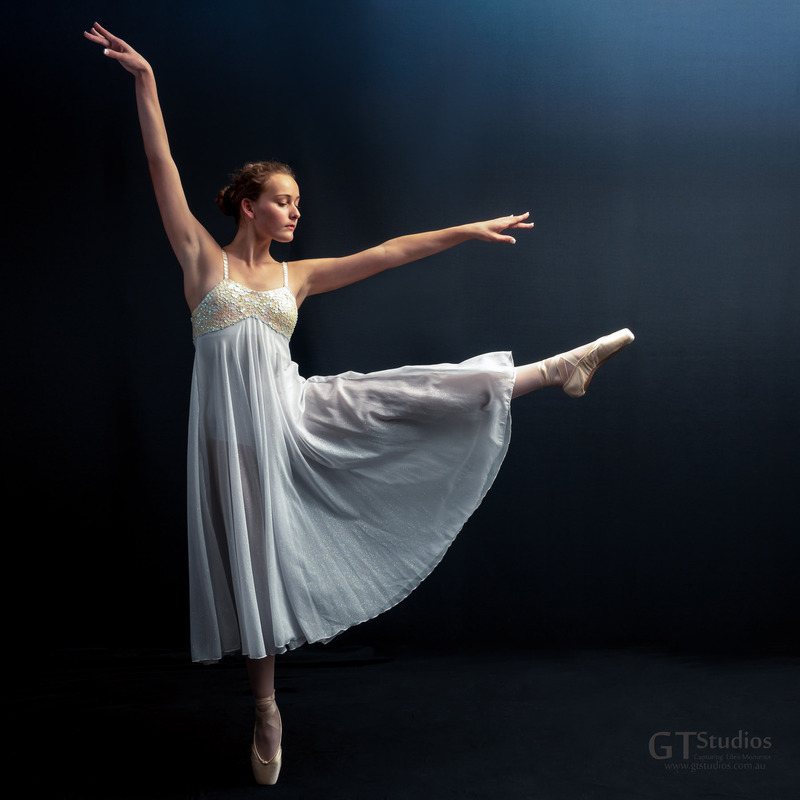 Congratulations again to Graham on the beautiful photography and of course our congratulations go to our 6 beautiful girls that have been featured. 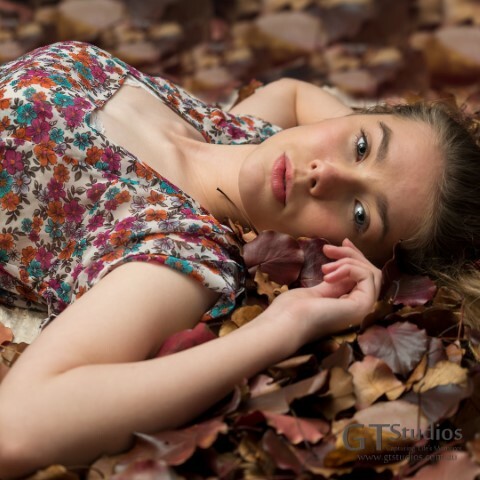 We are also very excited about one of our adult clients Janice who recently came to us for a Model Portfolio. 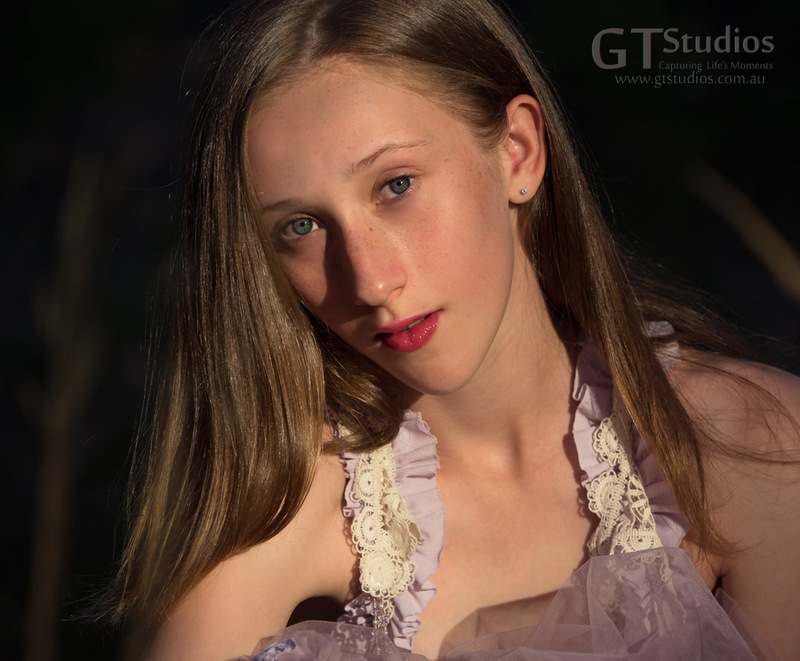 She is now registered with RMT Model Management and has already landed herself some work – Congratulations Janice! May this be just the beginning of a rewarding career for you! 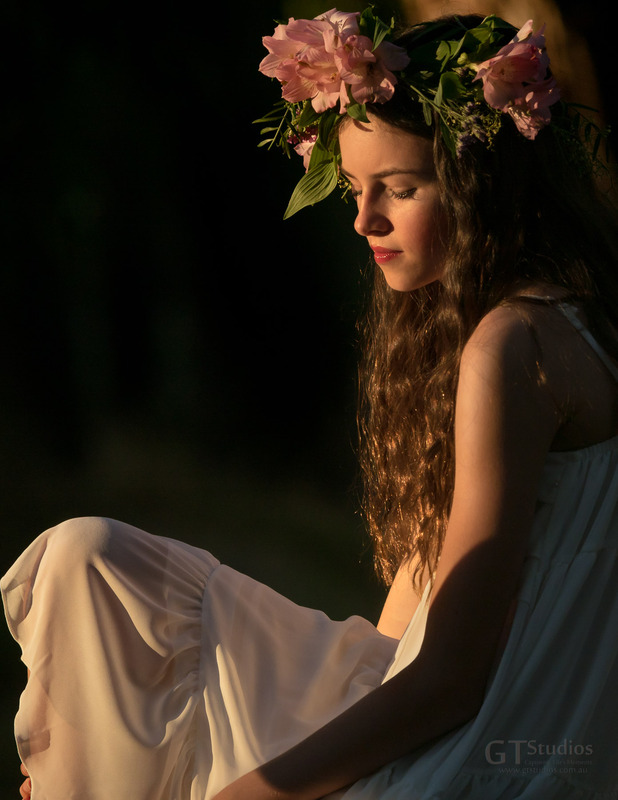 That’s all I have time to chat about this month – we have been super busy with photo experiences in June and planning some really exciting photo experiences coming up in July – looking forward to sharing them with you soon! Remember to call me on 0481 190 163 if you would like your own photo experience – we look forward to planning something uniquely for you! Are you tempted? 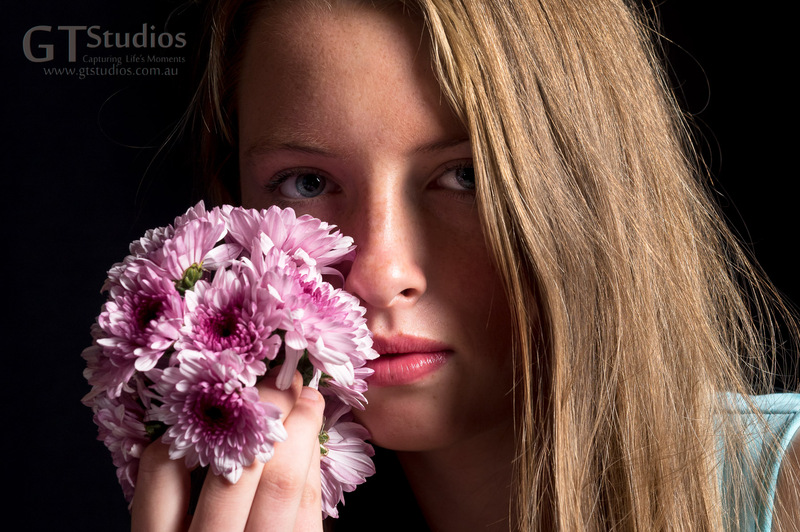 If you are tempted to book a photo experience but want more info give me a call! New Experiences on offer – Diva, A little often – more on these soon! Latest products on offer – The Teegan – you will want this on your wall! 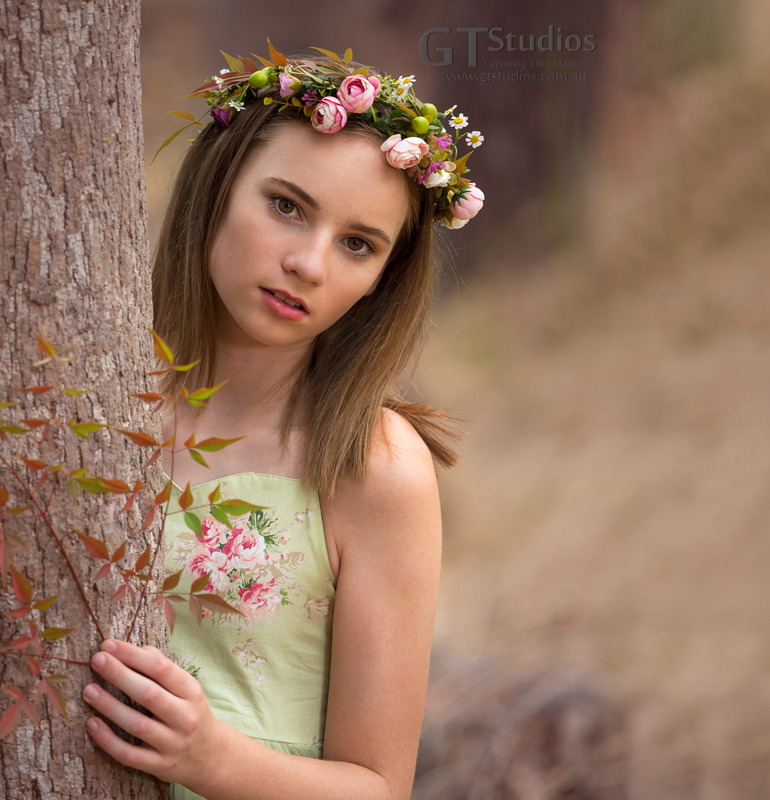 The Click – our exclusive club for girls who have attended photography experiences or workshops with GT Studios – ask me about this exciting opportunity! 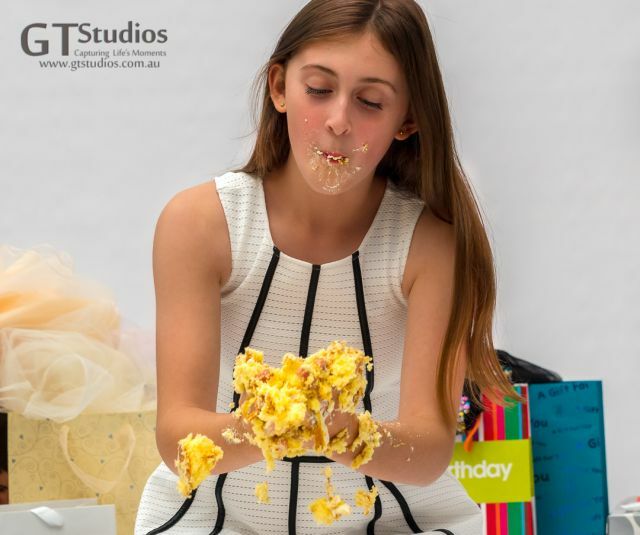 This entry was posted in 500th Instagram Follower, Birthday Experience, Cake Smash, Capturing Life's Moments, Every Moment Counts, Face of June, Face of the Month, Model, Model Portfolio, National Publications, Uncategorized and tagged Adelaide, Capture Life's Moments, Face of June, girls, GT Studios, GTStudios, gtstudios.com.au, photo experience, teenager on June 30, 2018 by Karen. 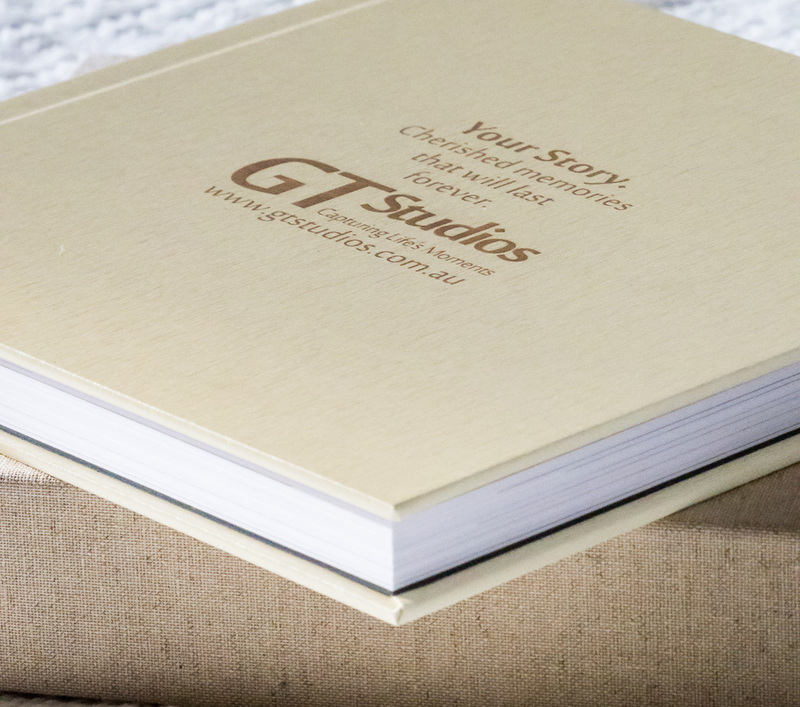 Welcome to the GT Studios May Snapshot. 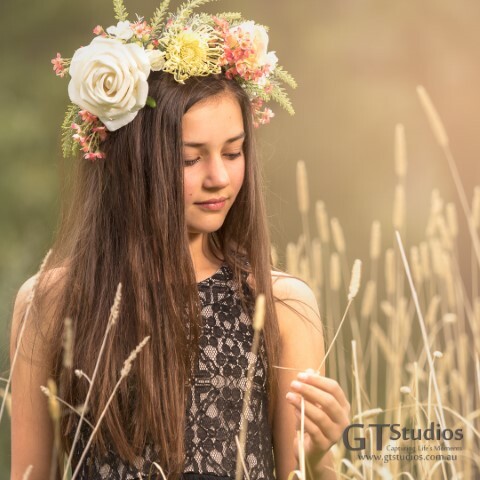 A chance to keep all of our wonderful GT Studios People – clients, models, collaborators, and friends up to date with the latest news and happenings. 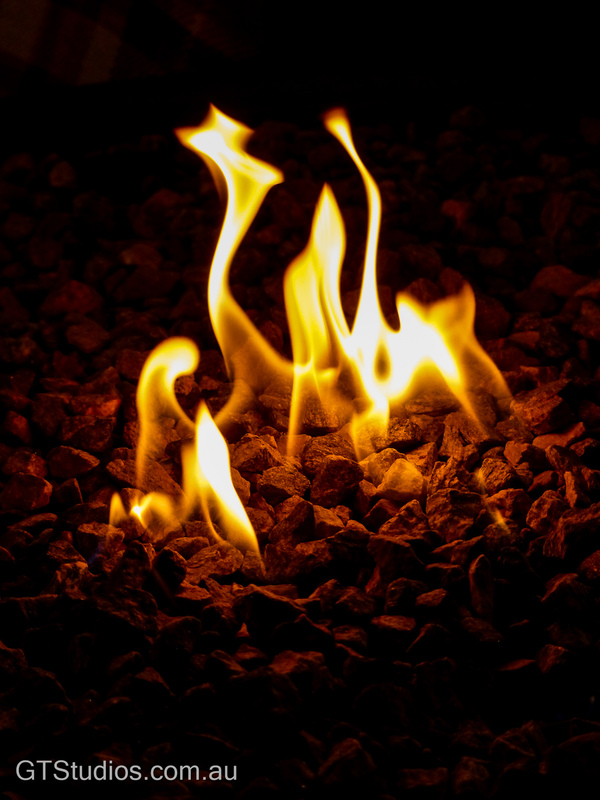 If you know someone who would enjoy reading this newsletter please share it with them and suggest that they subscribe to it! We have had an amazing month – I hope you have also! 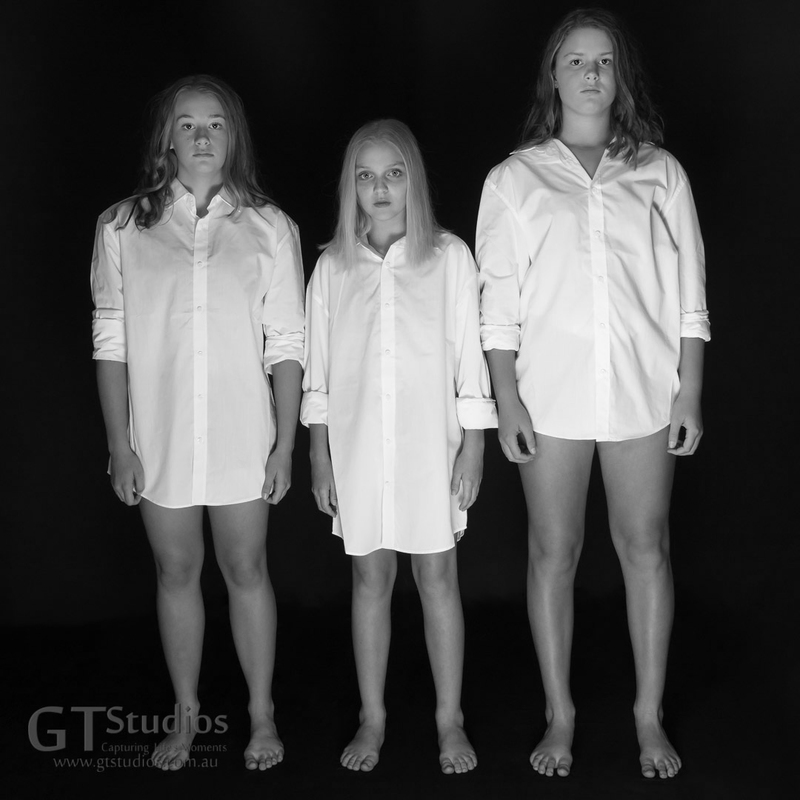 As well as our regular photo experiences we have had a chance to be involved in some really thought provoking work. On the 6th of May we finished a fun photo experience by spending some time taking photos to bring awareness to the Ovarian Cancer Research Foundation. 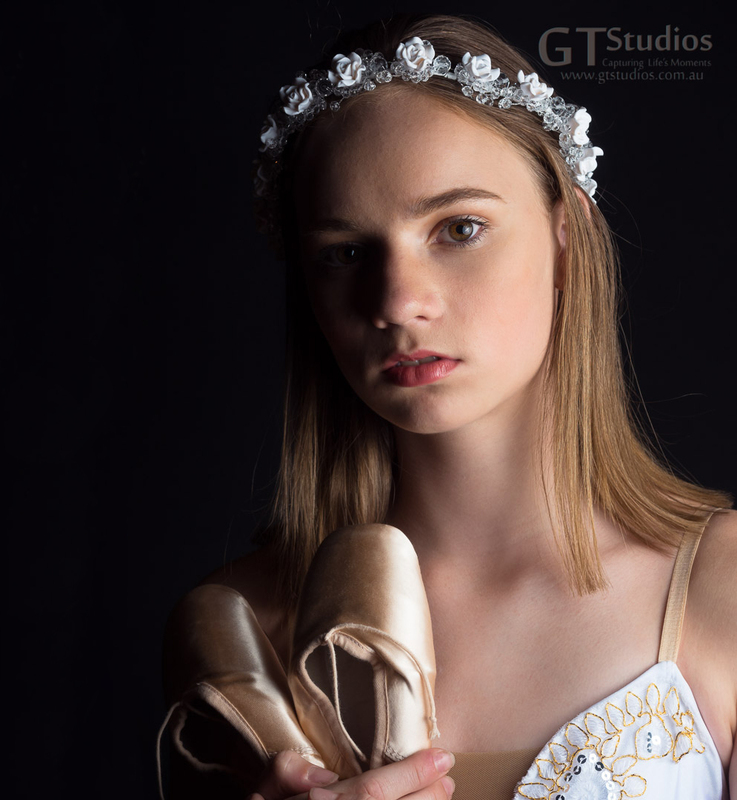 We worked with three incredibly committed and talented teenagers and produced a series of images which we shared across our social media platforms on White Shirt Day May 8th. You can read about it here or here. It’s not too late to donate. We are constantly impressed by the dedication we see in the young people that we work with. As I mentioned last month, we will be giving away a free photo experience every month for the Face of the Month Project. We announced the theme for the Face of July on our Instagram account last week and also put out an update on the blog with some important dates. We have had an awesome response – there is only one week left to enter so what are you waiting for??!! For our Face of May we were looking for Geeky and Nerdy, Quirky but Cool and we had lots of applications. I was amazed to see so many teenagers confess to being geeky but then I was reminded that it is actually cool to be nerdy now. Look at the people who own some of the most successful companies in the world. Some of the richest people in the world, some of the most compassionate and giving people in the world. Not the cool trendy ones but the science geeks, inventors, researchers and innovators so I was given hope that we have so many young followers that might have aspirations to be in that group of society. 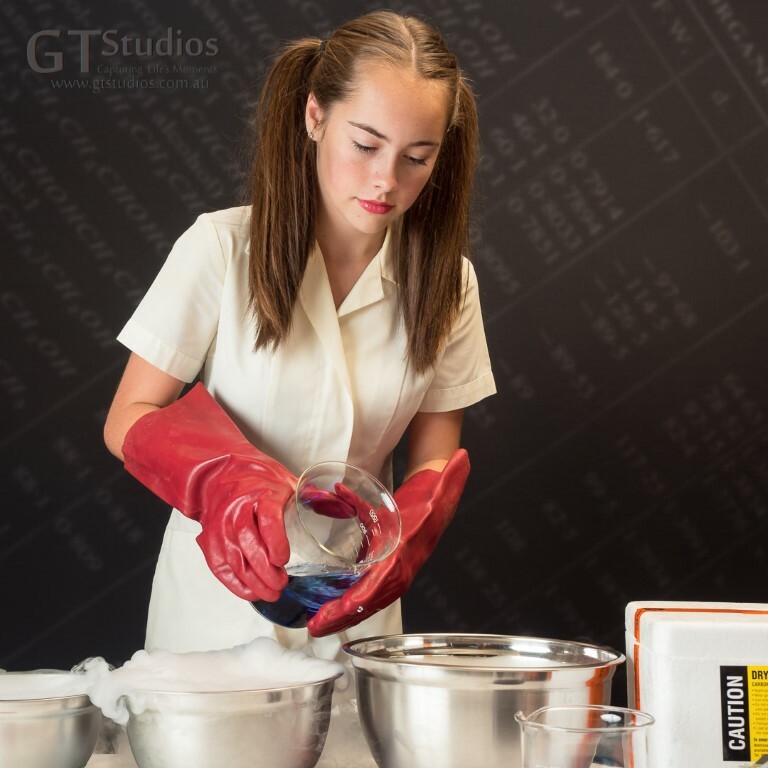 Face of May – Courtney – Science Experiment! Courtney told me in her application that she was a huge “Stranger Things” fan and was lucky enough to meet Millie Bobby Brown – one of the main actors in the show. This has inspired her to think about acting. 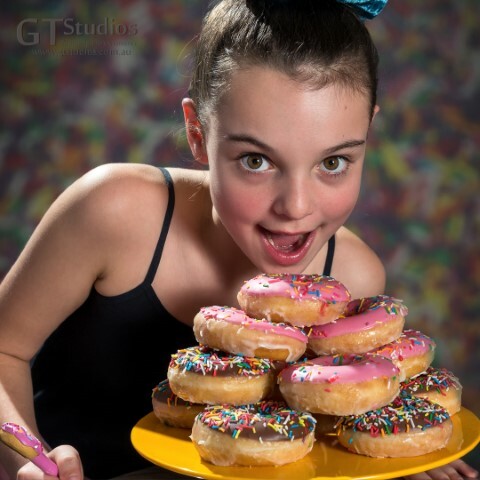 Courtney also loves science experiments, Lego and baking. She loved to sit and look at the stars too and imagine what could be out there! This made me think that we could get some dynamic images with her acting out several quirky but cool scenes. We would definitely rely on Courtney’s acting skills but after announcing her as the winner and having a very long conversation carefully planning each set I was pretty sure she was up for the job. 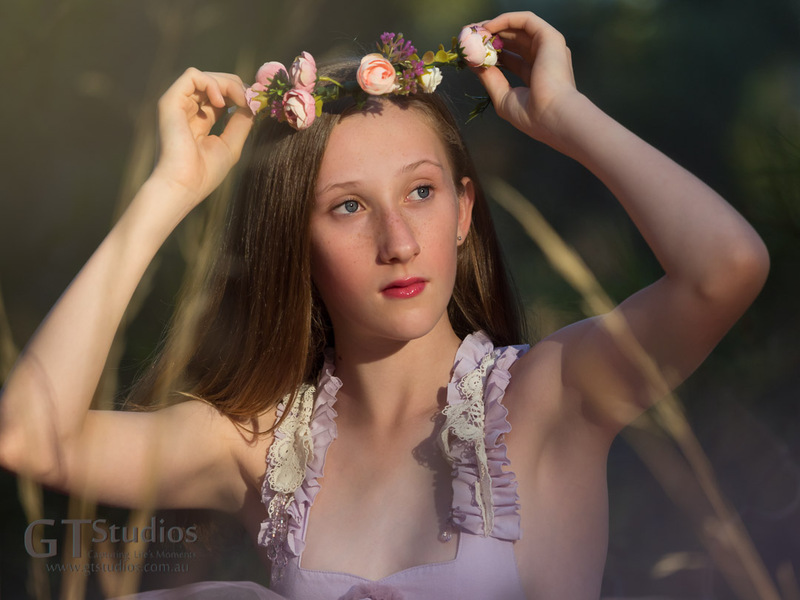 Some things we learnt about Courtney were that her favourite colour is pink or aqua so we made sure that we captured some nice images with these tones – most girls hope for a golden hour image with a floral crown so pink flowers were on the list. Holidays to Bali and a future trip to Bora Bora are high on Courtney’s list of likes as she loves the beach. We also found out that Courtney would like to be a midwife when she leaves school. Perhaps it was a sign that she ended up wearing my old uniform from a previous life when I was a Registered Nurse and Registered Midwife when she did the Science Photo set! 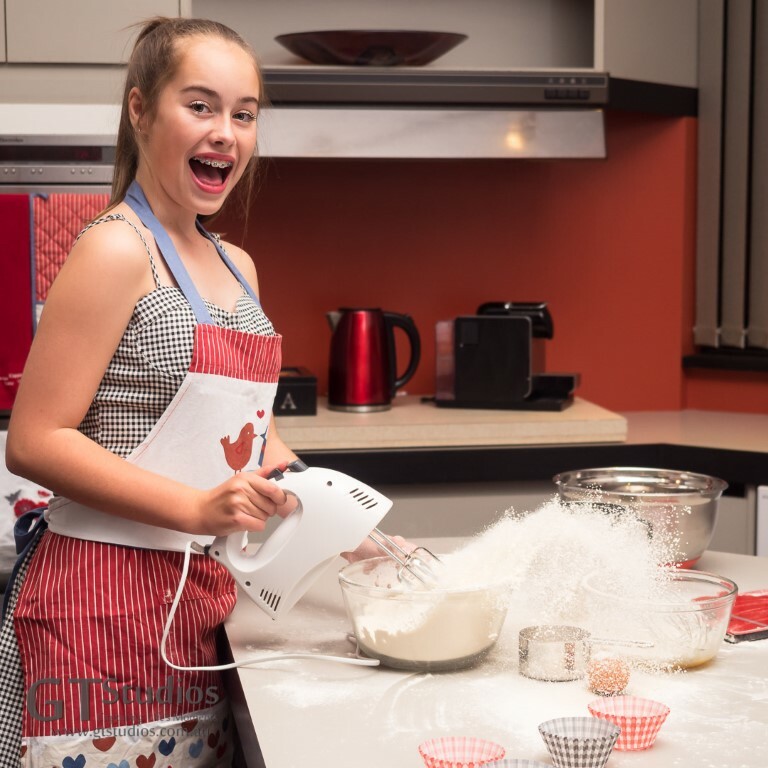 Face of May – Courtney – Baking has never been so much fun!! Courtney stepped up to the challenge with every set that we asked of her. 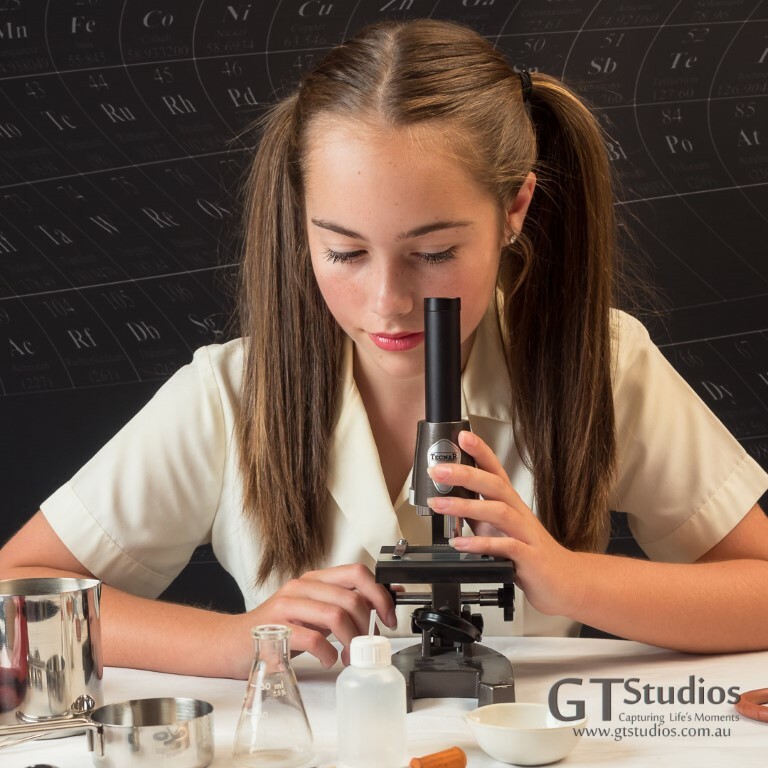 Whether it was in her own clothes or something from our wardrobe, playing with dry ice or sieving flour, playing with lego, reading fantasy books or looking through a telescope or a microscope she took it all in her stride. Was she worried about what her friends would say – I think so – did that stop her – no! She has a great outlook on life and in the end she just enjoyed the experience! Thank you Courtney for being brave enough to stand out in the crowd! Oh my goodness – we have had another amazing month for features in magazines. 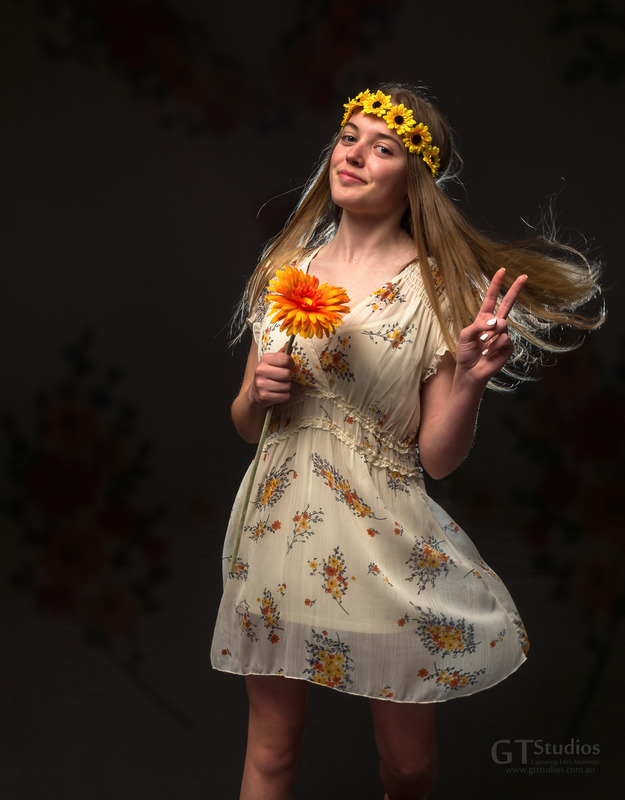 Published in digital and print we have had four girls featured in Madison Fashion Magazine with at least 2 images each and one of them has had a very busy month being featured in an international magazine Brand Model Magazine. 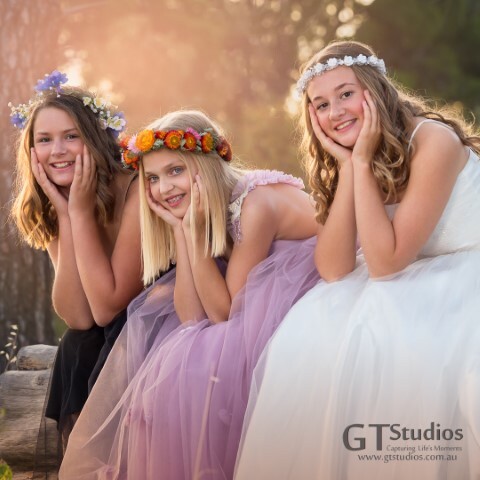 Congratulations again to Graham on the beautiful photography and of course our congratulations go to our 4 beautiful GT Studios Ambassadors Jordan (2 magazines this month), Jemma, Maddy and Miki. 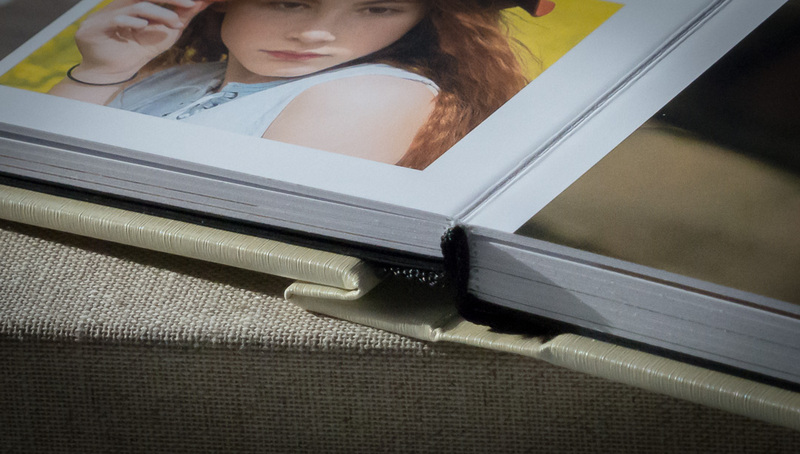 This month’s product review is the timeless signature art Folio Box. Your heart and soul are captured and your memories are protected in this stunning heirloom for you to enjoy for years to come. 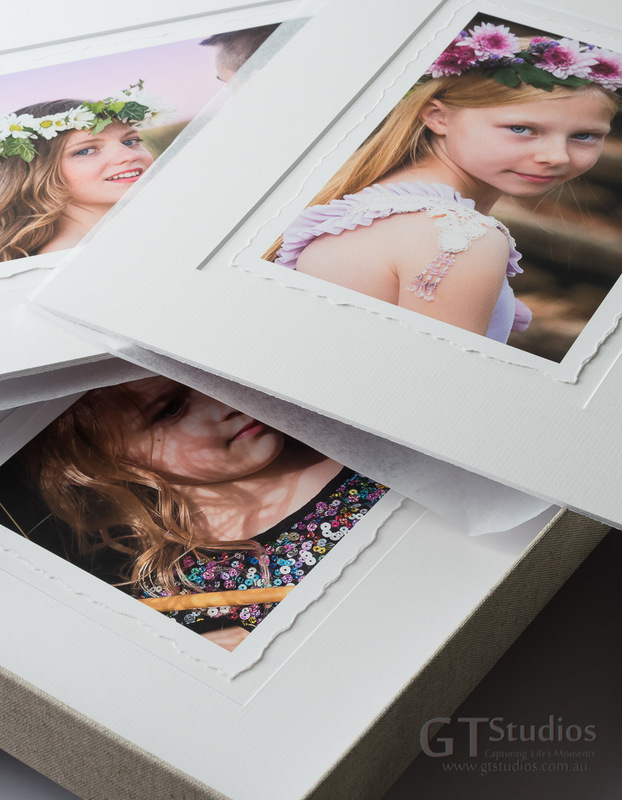 Each folio box comes in oatmeal or black linen and starts with 4 of your favourite 20x25cm prints on a 28×35.5cm backing and the box can hold up to 12 prints! This is such a lovely idea if you are short on wall space – your prints can be stored safely and you can choose which one you want to display on any given day – if you order 8 or more images we will gift an easel for you to display your print – no need for a frame! We have found this to be an incredibly popular product and is one of our best sellers. 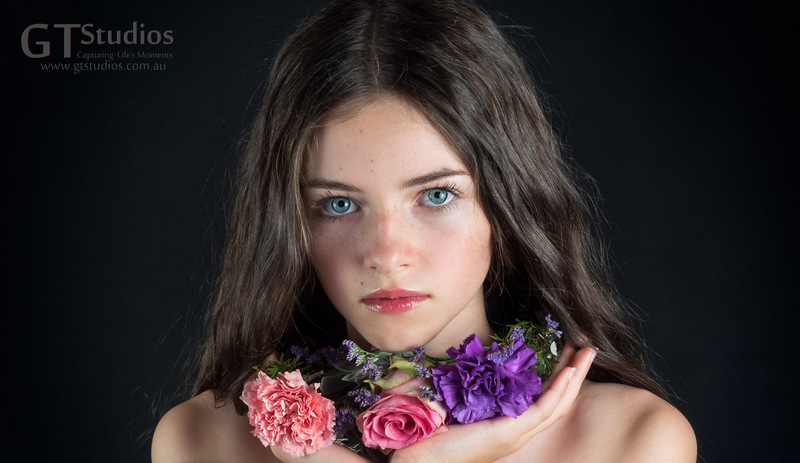 We have had an increasing amount of queries about photography and modelling this year and we have decided that it is time to launch our workshop programme. If you are interested in attending a workshop and would like to know more please contact me. If you have topics you would like included in the programme let me know as soon as possible as we are preparing the programme currently. We will also be offering one on one tuition for those who would rather not work in a group setting. 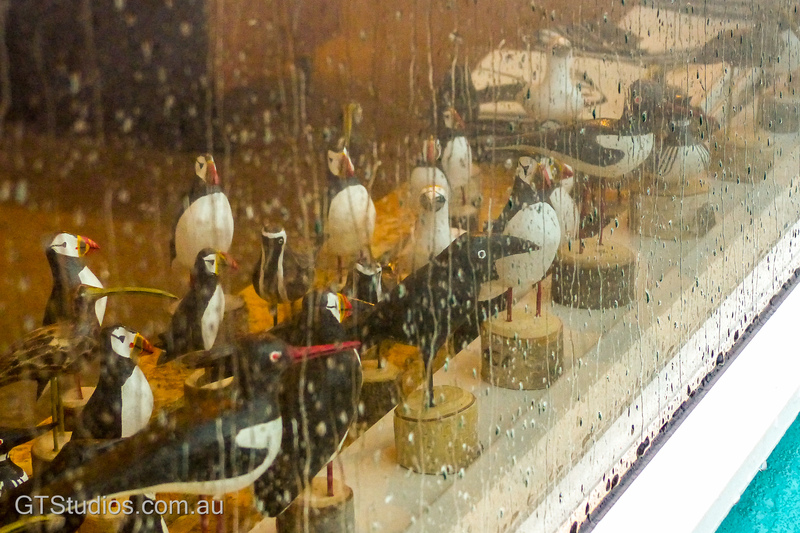 Workshops – local and regional areas – do you want us to visit you? If so give me a call so we can add your location to our travel list. This entry was posted in Birthday Experience, Cancer Prevention, Capturing Life's Moments, Competition, Face of May, Face of the Month, International Magazine Publications, National Publication, National Publications, New products, Newsletter, Product Review, Romantic Style Folio Box, white shirt day and tagged Adelaide, Capture Life's Moments, face of may, face of the month, folio box, geek, GT Studios, GTStudios, nerdy, photo experience, quirky but cool, teenager, workshops on May 21, 2018 by Karen. 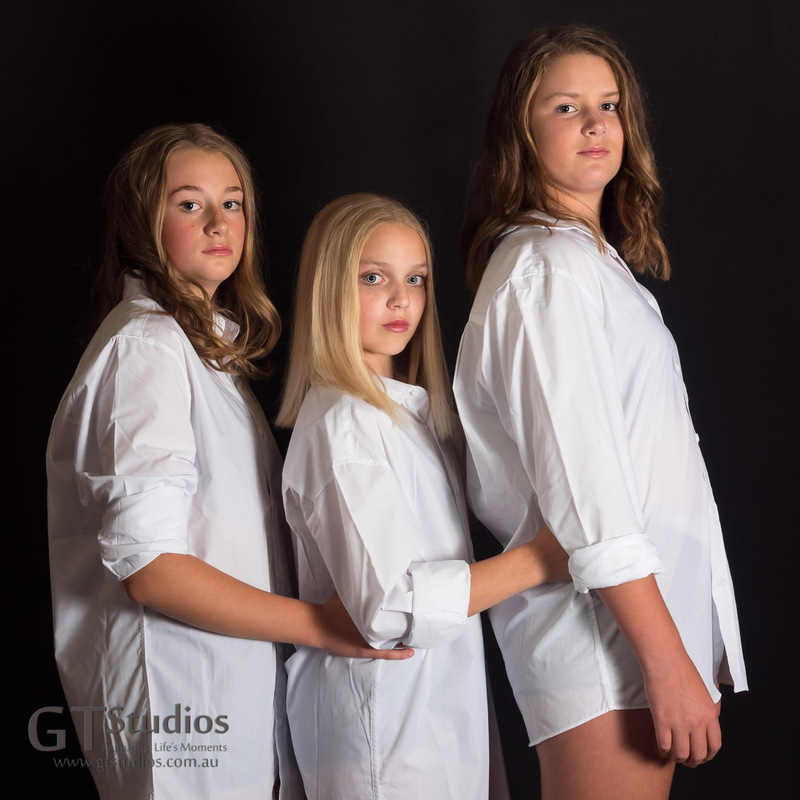 With our boutique photography studio specialising in girls and a previous career in Women’s Health, it is no wonder that I am passionate about White Shirt Day. One woman dies in Australia every ten hours from Ovarian Cancer. There is no early detection test and there is no cure. The early stages of Ovarian Cancer have no obvious symptoms, resulting in most women being diagnosed in the advanced stages of the disease. Many of the symptoms such as bloating, abdominal discomfort and fatigue are often misdiagnosed as other conditions such as constipation, endometriosis and irritable bowel. This results in a diagnosis in the advanced stages of the disease. When detected and treated early, 80-100% of women will survive beyond 5 years compared with only 20-30% when diagnosed at a late stage. This is why I am promoting White Shirt Day – to raise much needed funds for the Ovarian Cancer Research Foundation who are working on developing an early detection test for ovarian cancer. Please donate here if you can – it’s not too late. A huge thank you to these three amazing young girls and their mums who helped us with this project. You can see them on our Instagram account and Facebook Page with more thoughts on the subject! This entry was posted in Black & White, Black & White or Colour, Cancer Prevention, Capturing Life's Moments, Charity, Dont leave it too late, Every Moment Counts, Newsletter, white shirt day, Women and tagged #capturinglifesmoments, #cpcfeature, #creatingmemories, #forallwomen, #forfuturegenerations, #givethemhope, #leanoneachother, #lifeisshort, #longhair, #modelcitizenmag, #naturalbeauty, #ocrf, #ovariancancerawareness, #photoexperience, #potd, #resourcemag, #support, #teenagers, #teenphotographer, #teens, #whiteshirtday, #worldovariancancerday, Adelaide, adelaidephotographer, Beautiful, girls, GTStudios, gtstudiosphotography, southaustralia, young on May 8, 2018 by Karen. 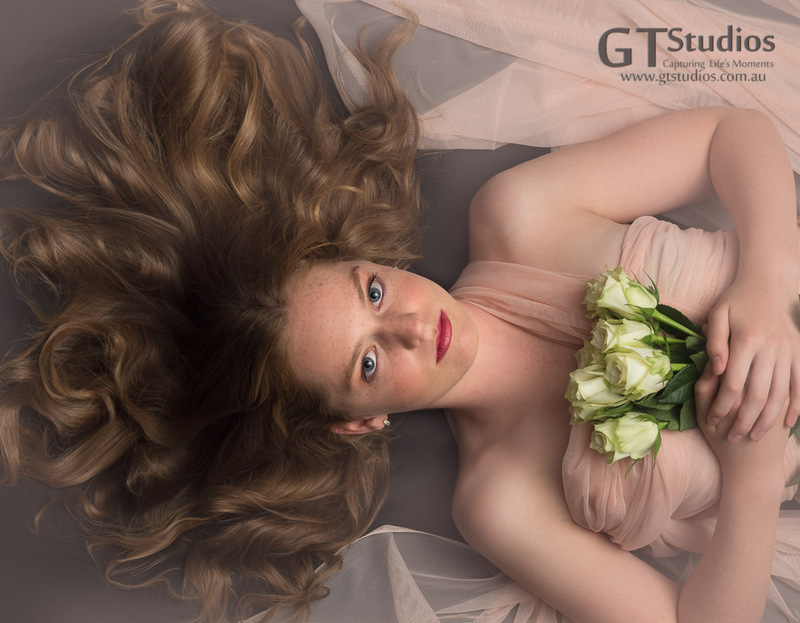 Welcome to the GT Studios April Snapshot. 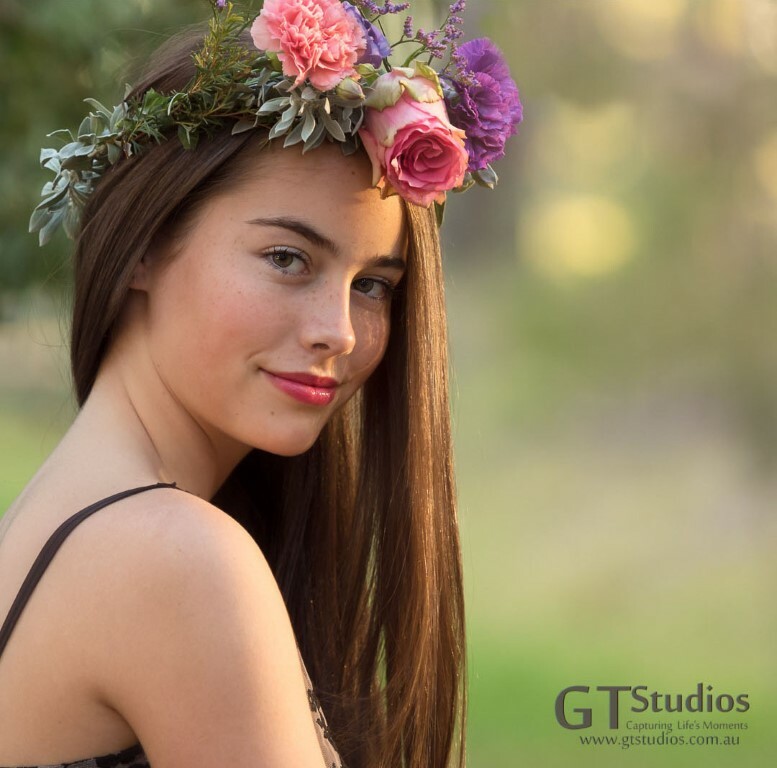 A chance to keep all of our wonderful GT Studios People – clients, models, collaborators, and friends up to date with the latest news and happenings. Make sure you subscribe by replying yes to this email or filling in your email address if you are reading this on our web page and then hitting the subscribe button! You will receive an email in which you must click activate to ensure you get any future editions when you first subscribe! As I mentioned last month, we will be giving away a free photo experience every month for the Face of the Month Project. 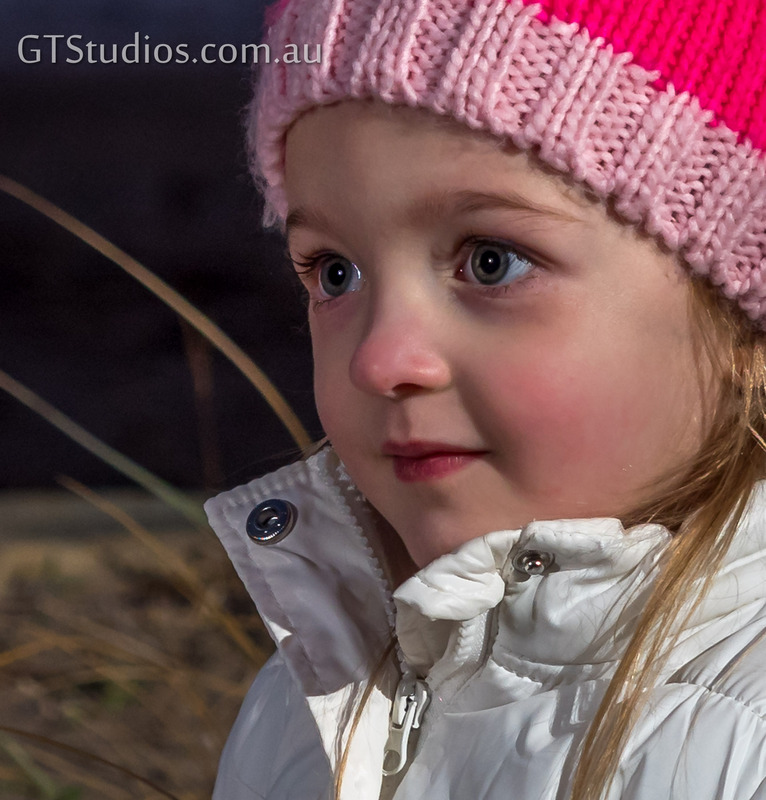 You can see some of the images from these photo experiences on our Instagram page and Facebook page. Our Face of April had a musical theme and we had lots of applications. Some vocalists, flautists, keyboard/pianists, guitarists and a ukulele player but not everyone fulfilled the brief. I really struggled to choose a winner but Nyree impressed me with her application. Nyree told me in her application that her two joys in life were her piano and being in front of a camera! She has been playing piano for less than a year but told me she was absolutely in love! She loves to listen to pop music but enjoys playing soft meaningful music. 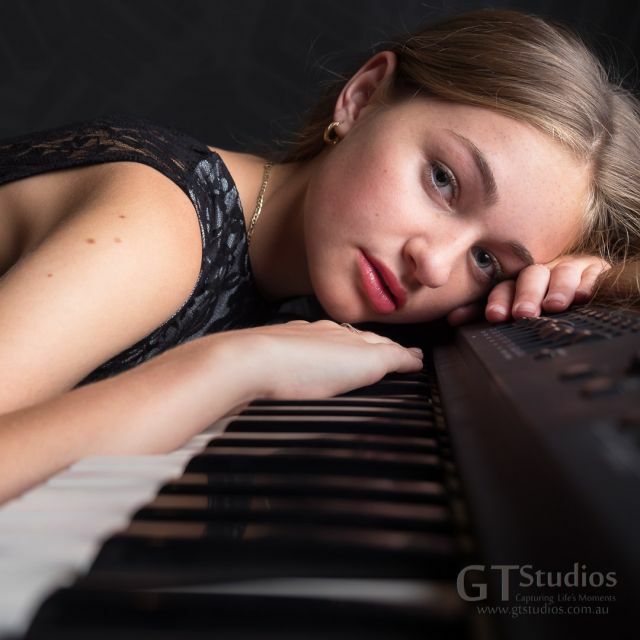 Of course, we didn’t expect Nyree to transport a piano or even a keyboard from her house to our studio – luckily we had one we could use for the photo experience and as you might have noticed from one of the sets of images on Instagram we even took it to the forest! After some initial discussion about the photo experience we discovered that Nyree was also passionate about dance and it has been a part of her life for about 8 years – at 14 this means she has been doing it for more than half her life. 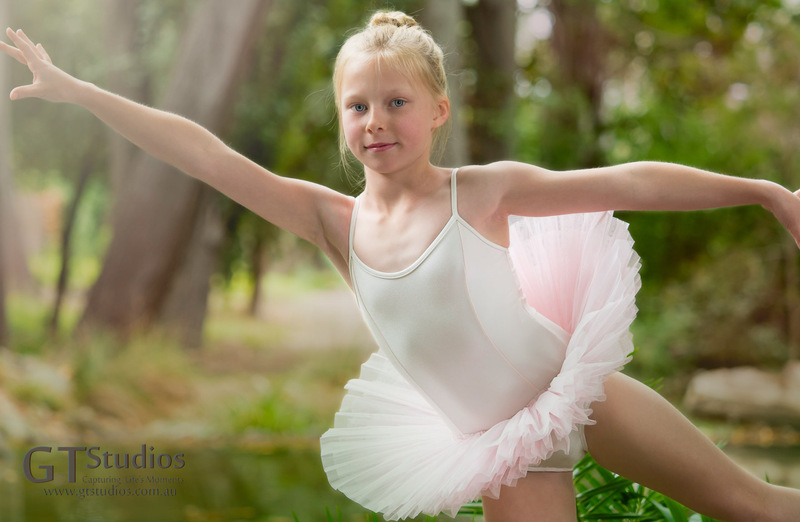 She does ballet, jazz, and hip hop and is very excited to be starting on pointe next year – another big milestone in the life of a ballerina. 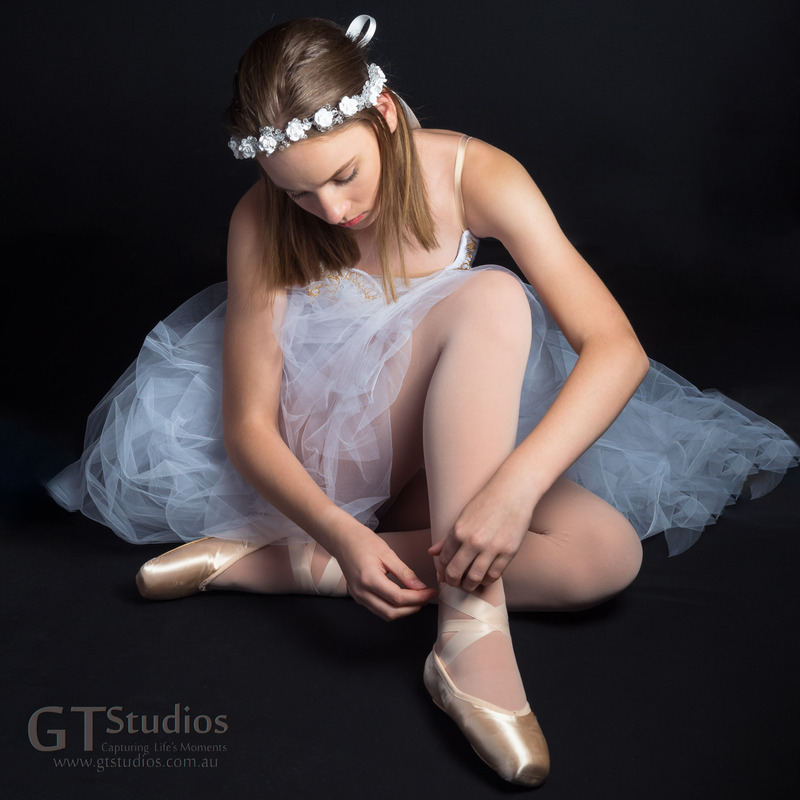 We were delighted to discover Nyree danced so we incorporated dance in to the photo experience and we will hopefully showcase some of Nyree’s dance images next week on Instagram. Nyree admits to being a very ambitious person and would like to be a model or marine biologist in the future. She understands that both these careers require a lot of hard work but is prepared to put in the time and effort. She would also like to travel to France as she loves all things chic and is a big lover of fashion. 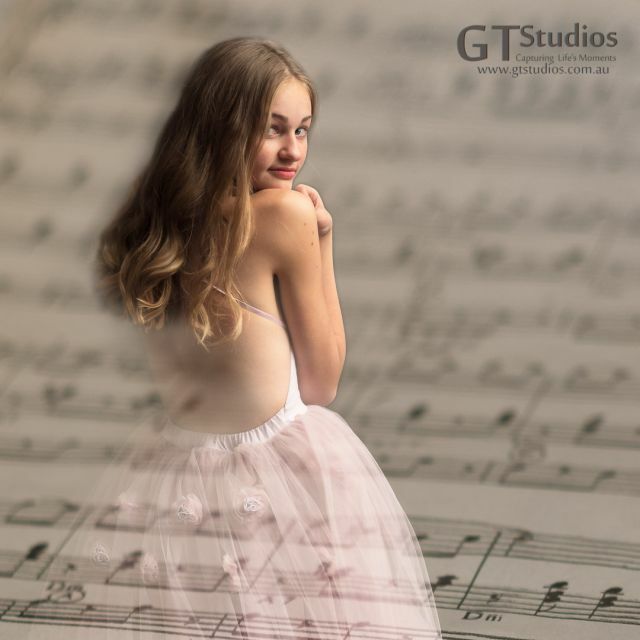 Where words fail music speaks – I would like to think we could say that about our photography too! The Face of the Month for May has been decided and I am very excited to announce that our winner is Courtney – her application was everything I was looking for! We are really looking forward to meeting her next week and sharing some images with you next month. 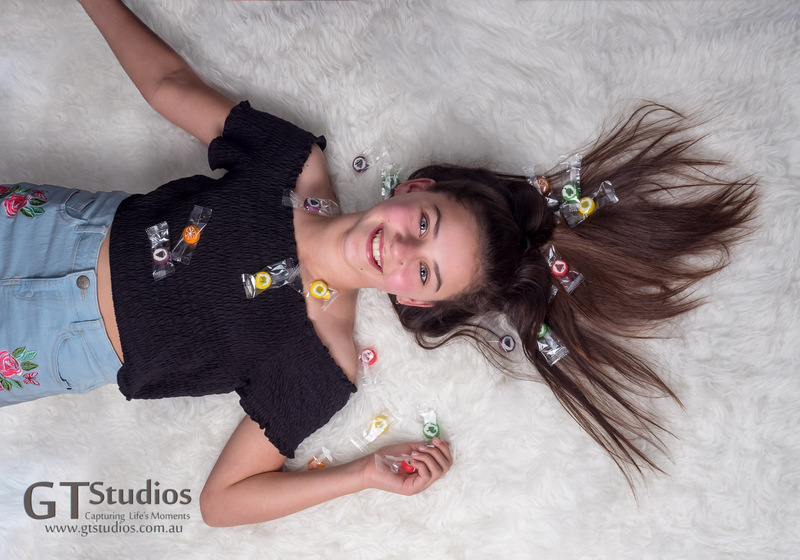 Our theme for May is Quirky but Cool so we are keen to see how Courtney, Graham and I will work together to achieve this interesting Geeky look – this promises to be a fun photo experience!!! Once again we are very happy to announce that Graham has had a double page feature in Madison Fashion Magazine thanks to the amazing Maddy. 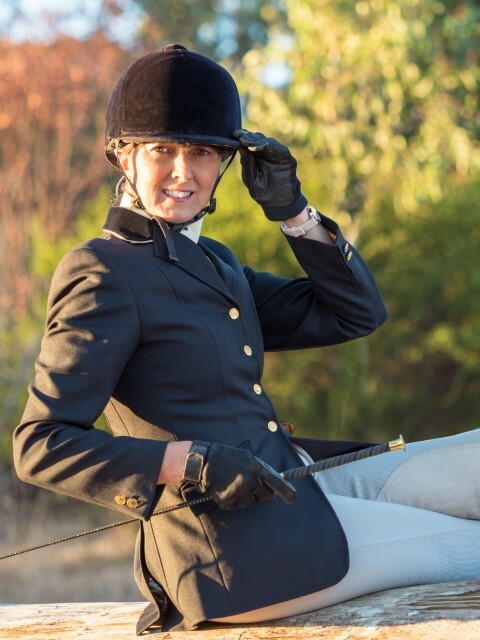 She has had her bio published in the magazine and looks fabulous! Congratulations Maddy and Graham. 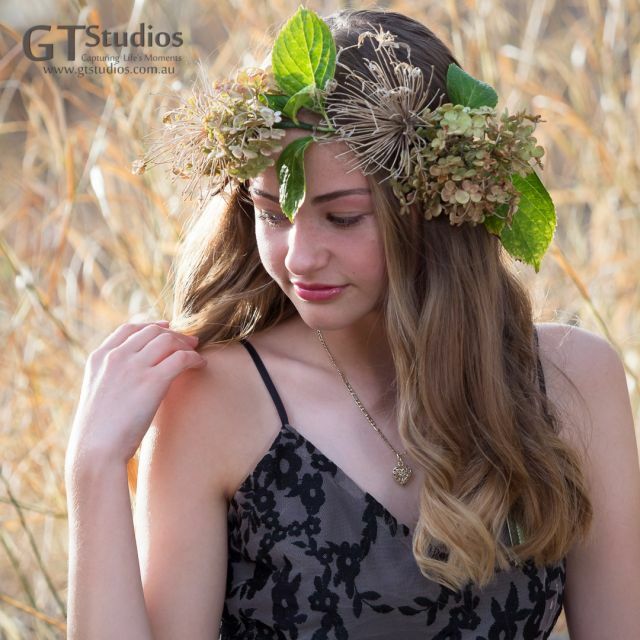 One of the services that we provide is a Model Portfolio Photo Session. 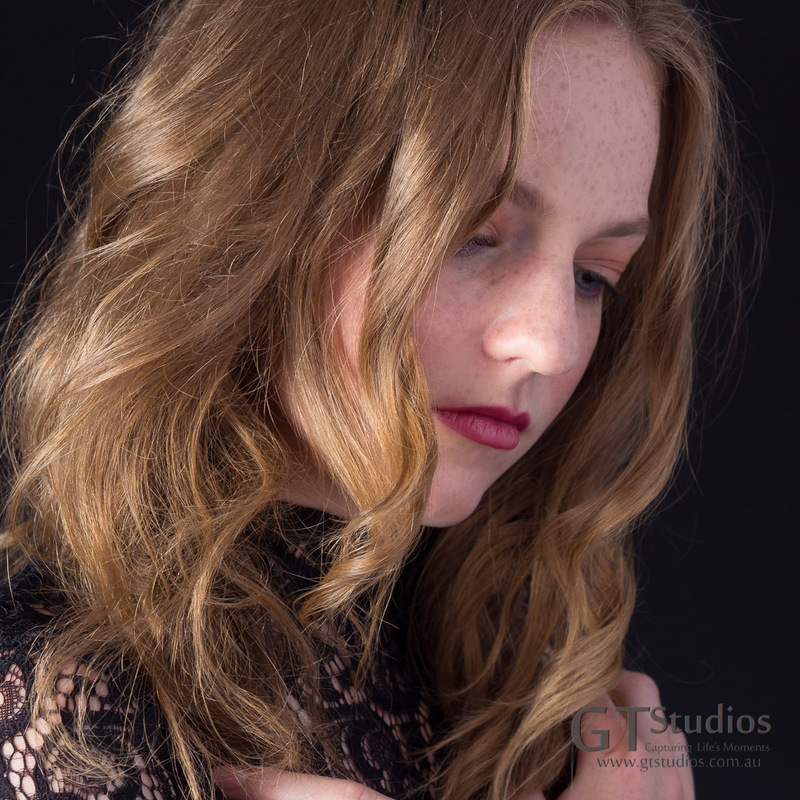 We have recently had the pleasure of adding to Jemma’s model portfolio. As an emerging talent she had an impressive portfolio already but we were delighted to be able to add our style to her collection. 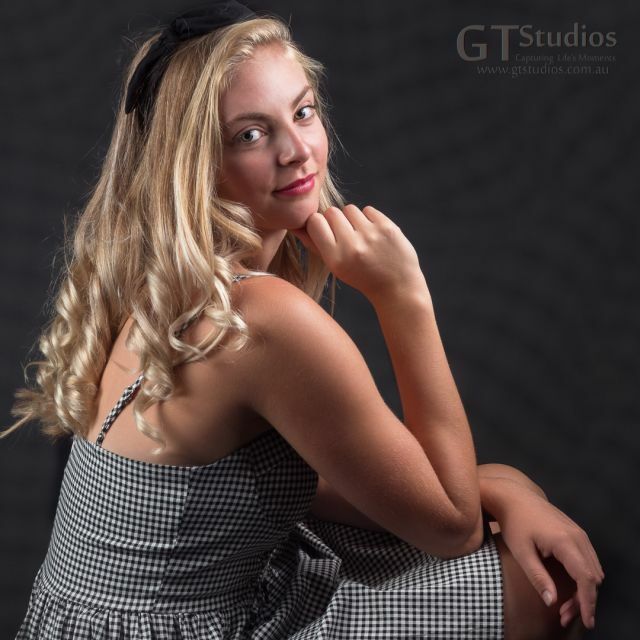 Jemma was a dream to work with – vivacious, bubbly and bright – she easily transformed her look from one outfit to the next and took direction with ease. 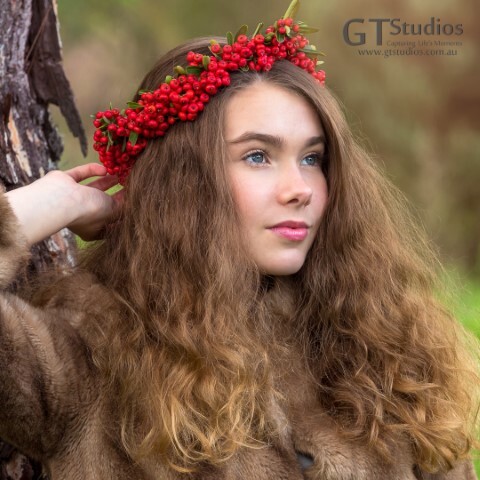 We feel sure Jemma will be a sought after model on the catwalk and at fashion shoots and we look forward to another opportunity to work with her. 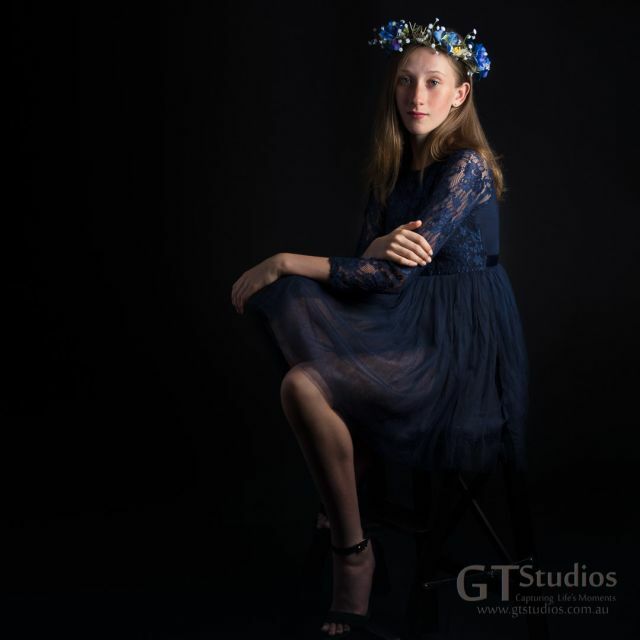 Jemma’s hobbies are netball, dance, fashion and drawing. 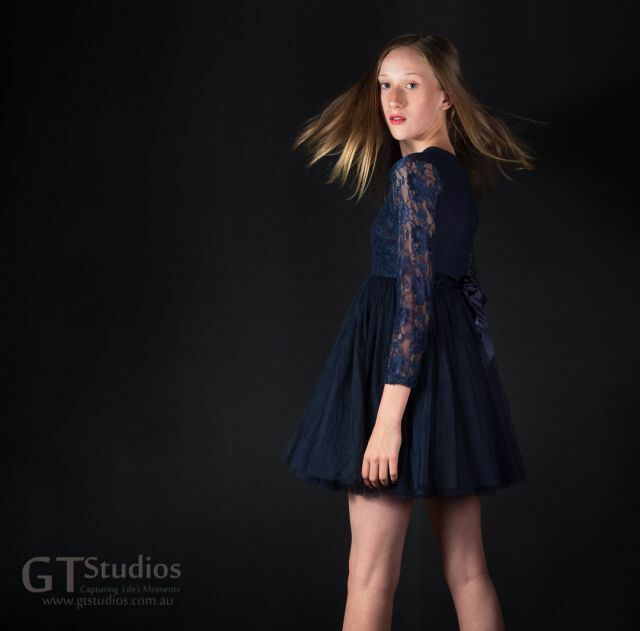 When she leaves school she would love to become a fashion designer and still do modelling as well! 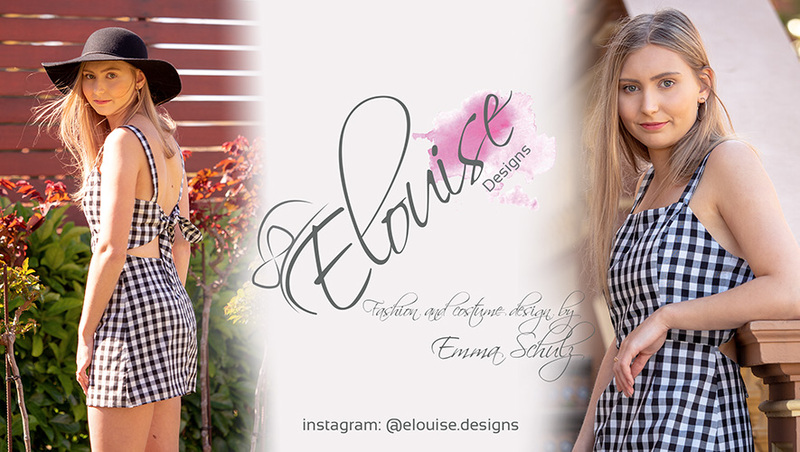 She hopes to complete her certificate ll and lll in fashion design during her schooling years of 11 and 12. 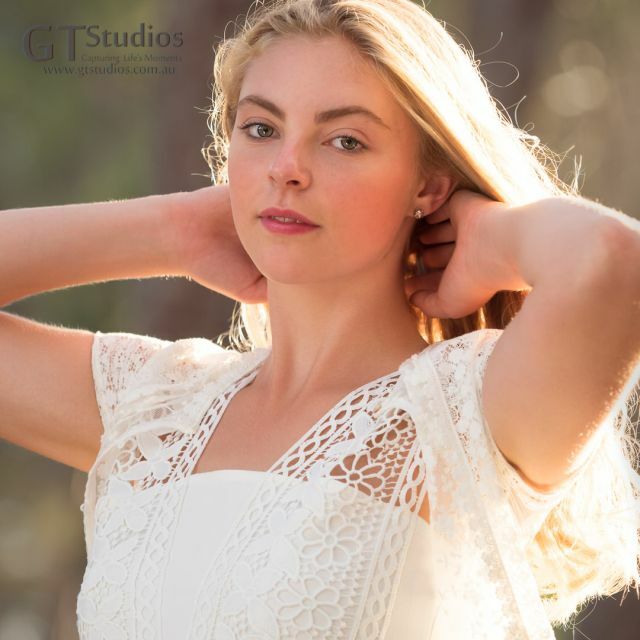 Jemma started modelling last year when she came runner up in the AZALEA Models Rural Model Search and from then has absolutely loved being a model, having the opportunity to do several cat walks/runways and editorial photo shoots already. Having worked for a hair and beauty salon and a fashion clothing store Jemma is always aware of the latest trends. Like most models travelling to Paris is on the bucket list! However – for Jemma – it’s because she wants to climb the Eiffel Tower! 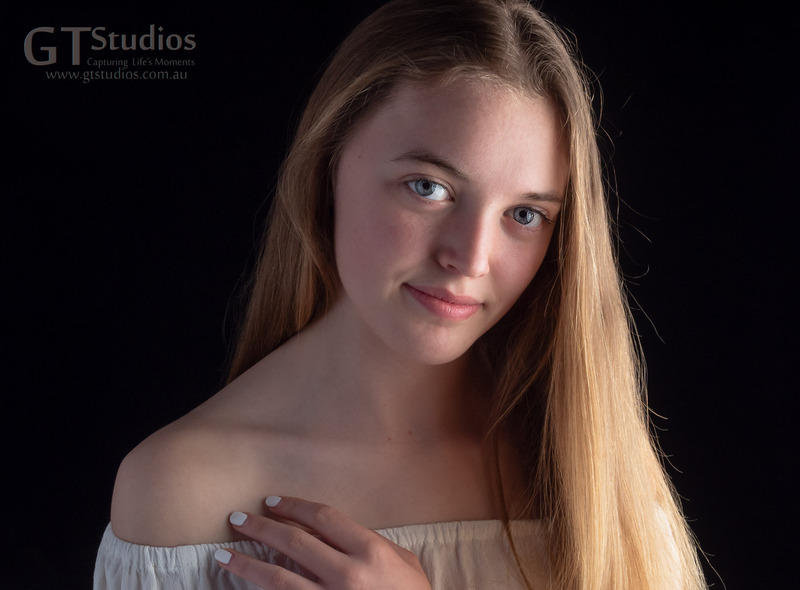 Life is not all about modelling for Jemma though – she has a strong desire to travel to Cambodia or Indonesia too as she would like to help build homes or schools for people who need them. 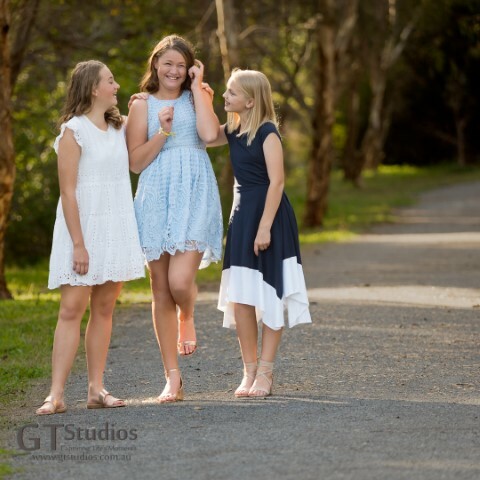 Family is also important to Jemma and one of her favourite holidays was a trip to Airlie Beach in Queensland because she traveled with a big group of family friends. She also loves time on the river with her family wake boarding and knee boarding. 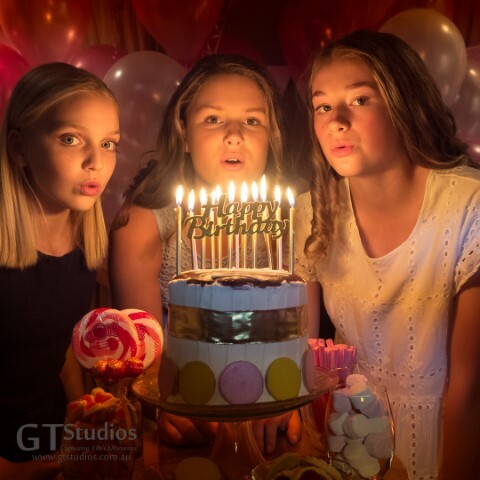 We have had a lot of people asking about birthday packages and we are very excited to announce that we will now be offering several birthday packages to suit your budget! 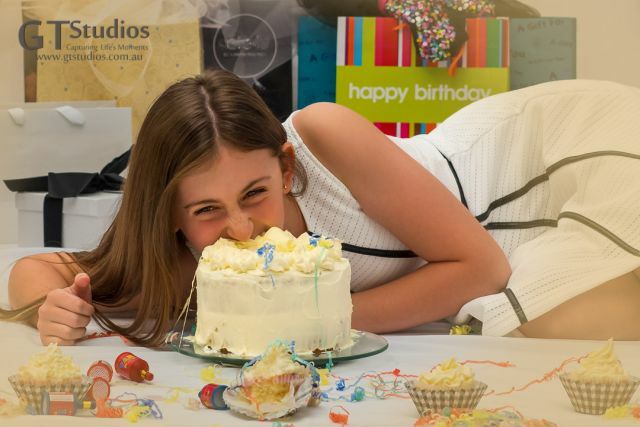 Whether you want a photo experience on your own or with friends, simple but sweet or all the trimmings, refreshments and a birthday cake or even to do a cake smash will all determine how we plan your unique event! 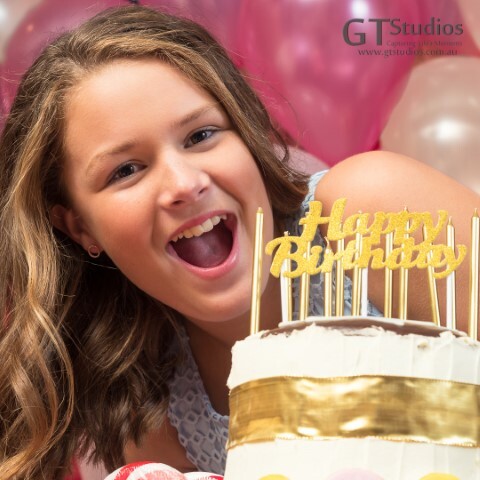 If this sounds like something you would like to do to celebrate your birthday make sure you contact me today – the first three people to book and pay for their photo experience will get a 10% discount. Why not make it a “Cake Smash” – Why should 1 year olds have all the fun? We have also decided to theme our Face of the Month for June around the launch of this new Photo Experience so if you have a birthday in May, June or July and would like to celebrate by having a Birthday Photo Experience with two of your Besties make sure you enter the competition when I announce that it is open – it will be the best prize of the year!!!! Latest products on offer – Folio Boxes and The Teegan – you will want this on your wall! 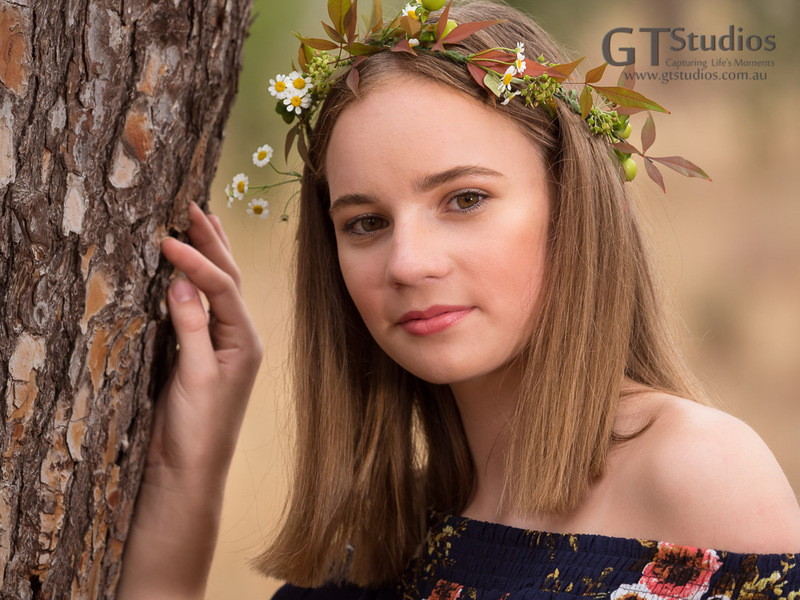 The Click – our exclusive club for girls who have attended photography experiences or workshops with GT Studios – more on this next month! 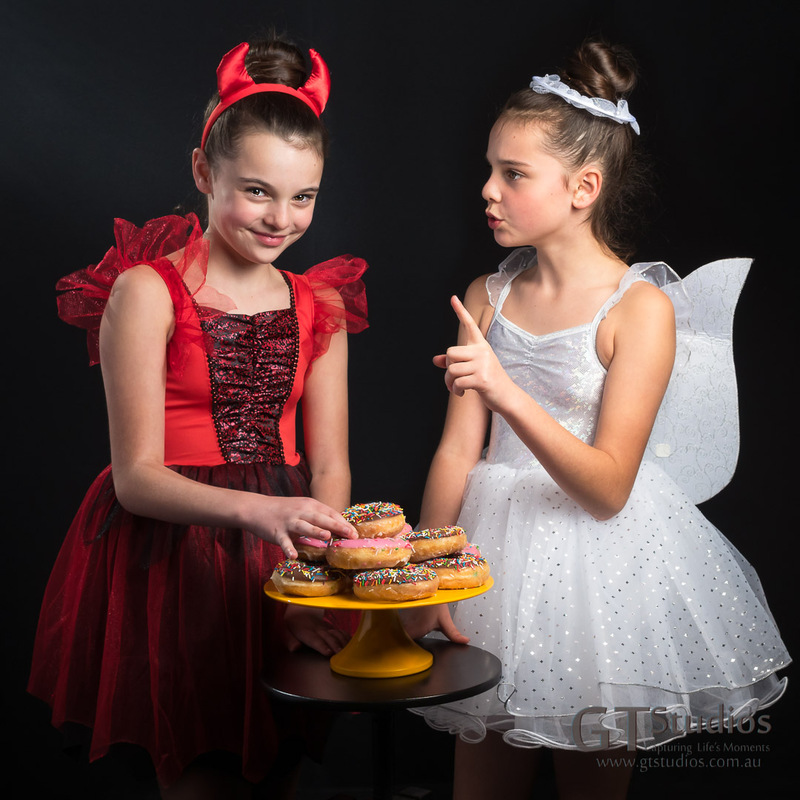 This entry was posted in Birthday Experience, Cake Smash, Capturing Life's Moments, Face of April, Face of May, Face of the Month, Girls, Model Portfolio, National Publication, Newsletter, Product Review, Products, Workshops and tagged Adelaide, Beautiful, Birthday Experience, Cake Smash, Capture Life's Moments, face of April, folio box, girl, girls, GT Studios, gtstudios.com.au, image, model, Model Portfolio, National Publication, natural light, outdoor, photo experience, portrait, Product Review, Workshop on April 15, 2018 by Karen.